My son can be angry at times, but I often blame myself. I am a single mom of a 3 and 5 year old and needless to say, I lose my temper 🙁 in ways that are totally unacceptable to me when I am under control! Screaming, snatching him up, out-of-control! I just don’t understand where it comes from. I was wondering, what you do to stay calm during these trying times? Thank you again, for changing the world by supporting parents! I responded to her that day and I’m going to publish here my response. As I have mentioned, this kind of thing is hard to talk about; we worry about saying the wrong thing or people getting the wrong impression. I still have those worries, but I am going to try to speak plainly here and relate what my experience has been. I realize not everything will apply to all situations. One of the things I keep hearing over and over is, “I’m so glad to know I’m not alone.” The same is true for me. Over this past week during a couple rough patches, I found myself thinking of all of those responses and I too was so glad to know I’m not alone in wrestling with this. Sometime, honestly, I just don’t manage to stay calm either. 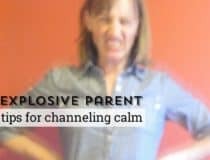 Same sort of out of control parenting rage takes over and I’m suddenly grabbing up my son and essentially tossing him in his room, screaming back at him; I hate it. I’m not telling you that like it’s a good thing, just so that you know you’re not the only one who has moments like that. I’ve gone into my bedroom, locked the door and then walked out the backdoor and taken deep breaths. I can still hear my son scream and he hates that I’ve gone out back, but it gives me a chance to calm down enough to try again. I have put on loud music to drown out screaming in the car. He hates that too, but sometimes if I am in a situation where I can’t pull over, I think it’s safer than me getting in a wreck from being distracted by screams. Emergency plan change could also mean that we just DON’T do that extra errand I hoped to get in, that we get by on whatever’s in the pantry for dinner, or that I let my kids have a third bath for the day. It just means I let go of what I thought the day would be like and find a way to make things work. It certainly isn’t always easy and can get very wearing, but sometimes it’s necessary. Ultimately, we do so much better if I manage to get us in a good routine and avoid the melt down cycle to begin with – very regular meals with very little sugar, regular sleep, outdoor play, consistent time to connect in a positive way. On Tuesday I will share Part 2 – what else I would have in included in this reply if I had thought to. Until then, take care and thanks for stopping by! Thanks so much for sharing. 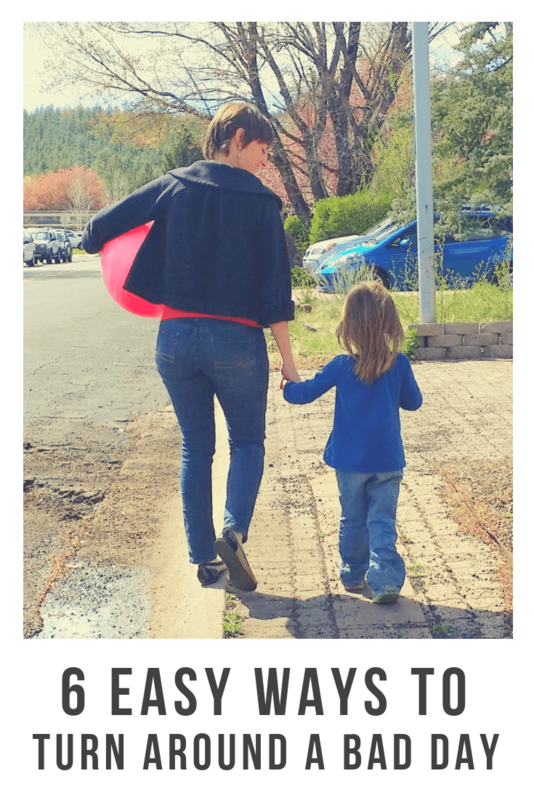 I think every parent has days they act less than ideally toward their kids and it certainly does help to know other parents struggle as well…and their solutions. “It just means I let go of what I thought the day would be like and find a way to make things work.” This one is key in our household. I hate changing plans but have learned it’s totally worth it to keep everyone from having a meltdown. I do think it’s good to hear that other moms/parents deal with this too. I hate getting to the breaking point and saying things I wish I could take back. Like telling a two year old to shut up (twice ever, I swear), when if I’d given up that last errand or that oh so important 15th chore, and noticed he was hot/hungry/tired/bored, or that I hadn’t done ANYthing he wanted to do ALL day, we wouldn’t be in this fix to begin with. The worst is when he repeats my ugliness back to me, so I know exactly how bad I sound. So yes, letting go seems to be the key to stopping the heart pounding rage, and doing it early. Putting away my phone, closing the computer, stopping what I’m doing (unless a fire alarm is going off, it’s probably not that important anyway), hugging him, even going for a walk together. I find those halted moments actually end up giving us a little Grace. Thank you for being so brave in posting what is so hard to say, but we all need to hear. . I am looking forward to the 2nd part! I am new to your blog and am super impressed. Sigh… as in, sigh of relief. Thanks for talking about this. 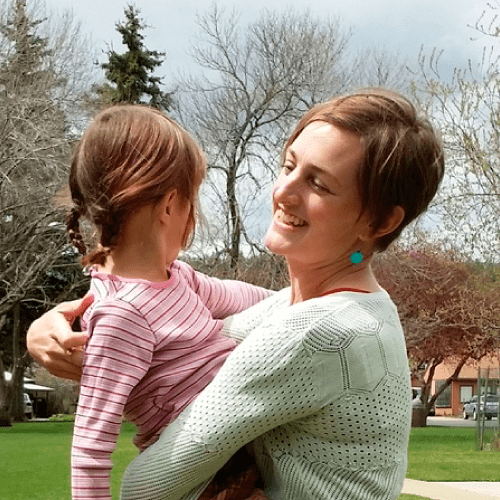 I’m an angry mom, with an oldest child who is much like me. Homeschooling has brought our tempers to a head, brought all my parenting faults dangerously close to the surface. In trying to not lash out at my kids, I began to turn my anger more inward, which sent me into depression. And then the anger would build up and I’d explode anyway. So this past spring, I sought out a counselor and it has really helped. 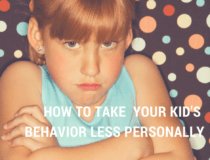 One of the tools she taught me was to talk about what I am feeling but say it in a calm voice, to model what I’d like to see my son doing: “When you… then I want to…” and “Please make it easier for me to not yell at you by doing…” so he knows how his behavior affects me. This is really helping. I still yell, but I yell less. And I say sorry right away, too. Also: right around the time I started going to my counselor, I read a wonderful essay on this subject in, of all places, Readers Digest. Here’s a link: https://www.rd.com/slideshows/the-best-life-stories/#slideshow=slide7. This was so helpful to me. Thanks so much for your reply and sharing your experience! I think when we talk about things like this it helps remove some of those layers of guilt and shame so that we can grow and move forward instead of just turning it inward like you mentioned. In case you miss it, another reader in the comments sends her thank to you as well. I am so encouraged to hear how you have sought a counselor to help you! You are certainly not alone, as I have my days, too! If I may offer constructive criticism of your counselors advice, though, because I used to say something similar when my older children were younger. My oldest kids are now growing up and able to communicate more, which I am now seeing that phrases like that are actually causing my children to internalize everything I do wrong as being their fault if they don’t do things right to keep mommy in check. 🙁 “When you…then I want to…” or “Please make it easier for me to not yell at you by doing…” are both phrases that communicates the same ideas that come across in divorce cases, where children internalize that if perhaps they had just done XYZ, then these things wouldn’t have happened between their parents. They are behavior modifiers, but don’t get at the heart of the issue for neither parent or child. You are doing a wonderful job, so please don’t misunderstand my comment! 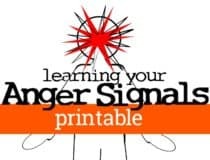 Those are certainly better things to say than lashing out in anger (how very guilty am I of this, too), but perhaps there is an even better way to communicate with your children. 🙂 I really have appreciated the books from Mary Sheedy Kurcinka. I easily found them in the library. To put her books in a nutshell, it is summed up to say that everyone needs to be loved and heard. Children especially can’t communicate their need for those two things and negative behaviors usually result if they aren’t getting those things. As an adult, her books helped me sort through some of my heart issues to understand my external behaviors. Communication is essential to a thriving relationship and that includes communicating with our children. Her books will require us to talk to our kids more and get into our deeper heart emotions (the “whys” of our behaviors) to get at the root of things. 🙂 (As a Christian, I approach this aspect from a biblical standpoint, but it meshes well.) And from this, you can parent each of your children individually; yet, within a collective family unit. Oh my, I am so sorry that post was long! I’m a bit embarrassed. No worries, Tamara; I’m a long poster too! I’ve read “Raising Your Spirited Child”, and it was very helpful when my son was younger. I appreciate your suggestions, and I agree that being heard is really important for children, as well as each member of the family taking responsibility for their own actions and attitude. 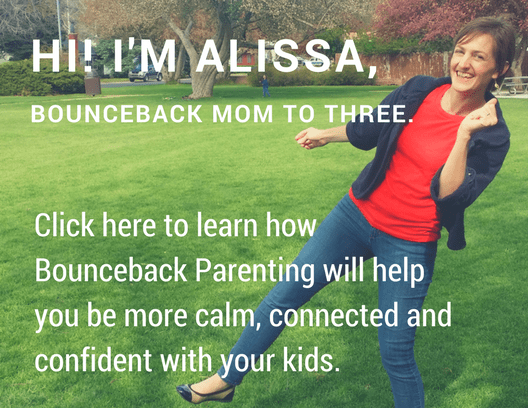 I also recognize that many people may not have a problem with the kind of recurring rage that me and some other moms experience in ourselves as well as our children, which goes from zero to sixty in less than a second. The trick (for us, at least) is trying defuse anger and outbursts in the moment so that kind of communication is even possible at some later point, and to help older children who are able to articulate themselves understand that their behavior can provoke their siblings and parents. When you’ve grown up with the example of yelling and lashing out, it becomes a default and de-programming oneself is an overwhelming prospect. I’m finding that by using these kind of phrases with my son, I can express my frustration before it comes to a head, and he is then better able to see the effects of his behavior on others–he also has been able to start mirroring this back and telling me when something I’m doing is provoking him. I don’t think it’s *not* taking responsibility for your actions when you tell someone how you feel about something they are doing, e.g., telling my son in a calm voice that it will be easier for me to not yell at him if he doesn’t have a tantrum about doing his math worksheet helps him understand how his actions affect my feelings, and stalls my anger response time. I hear you! Really, I do. I do deal with that kind of rage, so I do understand, which is why I suggested that book. It was helpful for our family (mainly me) to express ourselves appropriately. I came from an abusive home, along with plenty of other issues to pile on top of that, which most people don’t have to fight through to see to it that they don’t repeat the same patterns with their own children. It’s a daily choice for me to choose not to get angry and it’s not one that comes naturally. I have plenty to be angry about or so I thought (more on that in a minute). Honestly, while that book was helpful, the pretext to that was the Gospel. Prior to becoming a Christian, I felt justified in my anger, so whenever I acted in anger, I felt I was owed that emotion. I’d been through enough in life and no one cared about me, so my anger was a way to draw attention, just like a little child often does. I was hoping someone would care enough to stop me, to love me, to be patient with me. I never found that in any human, except my husband and my children, but you often hurt those you love the most. When I became a Christian, the anger didn’t magically disappear. Ironically, becoming a Christian made it worse, because I was then frustrated with myself for being angry, when the Bible teaches so much against unrighteous anger. In hindsight, it wasn’t that it got worse, it was that I was way more sensitive to my sin than ever before. And this is when I learned I didn’t have a “right” to my anger. I’ve had a terrible past and there are many parts of it that I will live and struggle with until my death. It will never magically go away, but as a Christian, I don’t want it to go away anymore, as I know now it has purpose. Should I be righteously angry with aspects of my past? Yes! They were crimes committed against me that jail time for some of those individuals was simply a slap on the wrist for what they did to me. On the flip side of that, I am a sinner in much need of grace, too, which means, my anger is no less sinful than the sinful acts committed against me. Thus, with that in mind, my heart melted at the thought that a Savior, Jesus Christ, could pay the penalty for a wretch like me. When I understood that, my anger naturally began to diffuse. It’s not perfect, but love really does make a huge difference. My husband and children are sinners, just like me, in need of much grace, patience, and love. We all need to be sympathetic to one another. The reason why I recommend this is because I have found that when I re-phrase those things to put the blame back where it belongs (with me), I found that when I’d have to really tell my child my emotions, I actually realized how much I need to express myself in others ways, which further diffused my anger. Let me give a very simple example that most mothers with toddlers can relate to. Drawing on the wall! Simple enough, but it was enough to make me angry. I said to my child one day, even though they couldn’t understand my big words, it helped *me* to say, “I feel angry when you draw on my walls, because I have to stop what I am doing to clean up the mess you’ve made.” As I began to think about what I was saying to my child, I was really realizing that I was angry that I felt like I didn’t have help around my house (my husband was deployed at the time), I was alone, frustrated, needed help, and felt the guilt that by asking for outside help, that I was a failure as a mother. That was only the surface issues, never mind the deeper issues from the past, which made me even more angry. Is it hard to stop what I’m doing to correct my child from drawing on my walls, to re-direct them to another positive activity (preferably with me)? No, not for a toddler, who needs much direction in the first place. A mother who doesn’t struggle with anger the way I do, probably wouldn’t have been so uptight about it, nor understand why I would be. So what’s different? And this is a process. 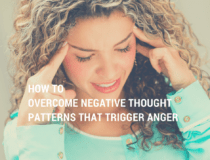 One by one, little things around the house pop up that make me angry, but when I’m forced to verbalize the real reasons why I’m angry, my anger seems to diffuse towards my husband or my children, just like you experience. It does help that I have an understanding husband, who is very calm, and puts up with me. He doesn’t understand what I’ve gone through in life, as his upbringing was “normal”, but he listens and makes me feel safe. When I feel anger, he told me that I needed to call him to talk through my emotions and I have done this many, many times in the past. By doing that, though, even he has remarked that I rarely call any more. I don’t need to as much. I’m working through my emotions and getting tools in my parenting toolbox to learn how to handle situations with more love and grace. Our home is a much bigger blessing today than it was even a year ago, let alone many years ago. It has not been an easy road, but it has been worth it. And we still have more road to pave. All this has spilled over into my personal friendships, as well, which has equally made a difference. Really, I hope what I wrote didn’t offend you. Being a parent is hard and I can’t tell you how encouraged I am by how you reached out to a counselor and are actively working towards not repeating patterns you’ve seen all your life! You go girl! 🙂 We’re in this parenting thing together, so we all need as much support as we can get. I hope that’s what you see here. Support and love. 🙂 Blessings to you! Which isn’t to say it’s not worth it to try. As a fellow Christian, I appreciate your remarks about how the struggle to choose to not be angry actually seems harder when you want so badly to do the right thing; that may be why this is such a tender subject for me. I’m going to keep reminding myself of the idea of “progressing from grace to grace”–I may not feel ready (yet) to really take on full responsibility, to talk to my kids calmly about my reasons for feeling frustrated, but I can aspire to that and work a little bit more every day to get there. So thanks, Tamara, for taking the time to share your experiences with me in such a personal way. And I’ll make some time to re-read Kurcinka’s book, which is hiding somewhere on my shelves. Blessings to you. Thank you both for having this discussion in a respectful and open fashion here. This is a topic I think about a lot. 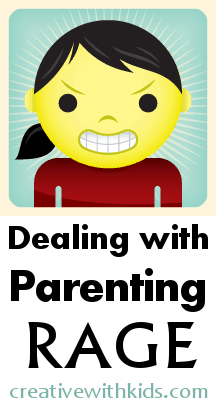 Parenting is hard work and one thing I have recognized is that when I don’t take care of myself, our days go downhill quickly and I am very short tempered and can get very angry. I am really worried about my new baby coming in October and how I will react when I have less control over my sleep/time. Prayer, time by myself to rejuvenate or exercise, and talking about my anger with others has really helped. The last thing I want to do is verbally hurt the little ones that I love the most. I do find that when I focus too much on thinking about the anger that I feel, I get more angry. Spending more time documenting the little special moments in our day and looking for the kind things that my kids do help me see the bigger picture of what I am doing as a mom… and sometimes just doing those things helps me calm down too and snap out of my rage. Such a great point – the more I look for those shining moments in my day, no matter how small, the more connected I feel to my kids and that helps reduce resentment and anger a lot. Thanks for sharing. I feel out of control sometimes and my hubby makes me feel very guilty about it to the point he doesn’t want another child. I also want to say thank you to Chicklegirl for being brave and admitting to conselling. Parenting is no easy task, especially when you were raised by angry parents. Good luck everyone!! By the fact that you’re reading here, it sounds like you’re improving upon previous generations and learning new tools. Good luck to you too! I am going through a very similar experience with guilt from my husband who is now resisting having another child- and honestly, it scares me too. My parents were (and are still) angry people. It makes me feel terrible when I hear such angry words coming out of my mouth, because I remember how it felt to hear them as a child. I’m so glad that I’m not the only one. I just have to keep reminding myself that I am capable of change, and that my relationship with my daughter is so worth it. Oops, I spelled your name wrong even with it right there in front of me! Sorry. Wow- Those are intense letters- but I know pretty much every parent can relate. I’m glad you published this and your response is great. Being patient with kids at trying times can be so, so difficult. I’m a single parent of three children. The dynamic of always being *on* is so challenging. Sometimes we fall short, and that is okay. In real life people fall short. Then we apologise, pick up and move on – it’s a good lesson, I think. Being sure to invest in self-care, be flexible with expecatations and plans, and to find those points of connection make the relationship flourish even in spite of difficulties. Some of my best memories are around meals and movies! Thank you so much to the parent who wrote you and thank you for your great response. I do think knowing that we are not alone can go a long way in helping us reach out for help and discuss it. I know how important my mom friends have been in sharing their own struggles and their strategies. I have used the loud music on the radio and taking a breath outside or taking a sip of tea while my baby or toddler was in their crib. I have also called a friend or my husband just to have another adult to check in with. I do find keeping my sense of humor really helps too. But like so many have also said taking care of myself and making sure the kids and I have our routine does cut down on those trying times but they do happen. Thanks so much for addressing a topic that is so hard for moms to admit!! You’re so welcome. Thanks for featuring the piece in bonbon break. The more we talk about it, the more we find tools that help us to take care of ourselves and parent in a positive way. When my kids were 2 months and 2 3/4 my husband started a job where he was away for weeks at a time and we were living in a new area where I didn’t know a soul. Sometimes during that winter of one snowstorm after another I contemplated laying down in the road, while shoveling the driveway yet again, just to have contact with another adult – even if it meant they would be screaming at me. On occasion I would call the child abuse hot line to say I was going to do it – and was given a lot of empathy from the person answering the phone which made everything ok.
Two life savers for me were to announce bathtime at any time of the day when the kids were driving me mad (they loved being in the bath playing with all the stuff) and starting the bedtime countdown at 4:30 (what was often the hardest hour). We would go for a long walk through the woods to a distant neighborhood’s playground (30 min to get there, 15 minutes there, 30 back ) then dinner time, bath time, story time and finally bedtime. My kids were pretty clean some days. Another help was to build stuff – construct stuff out of cardboard boxes with them. Often it was creative therapy for me and they enjoyed it too. One thing I had to let go of was having a house full of projects which wasn’t hard as we seldom had visitors. Looking back on it now I wish I had turned the whole place into a science zoo as that time was fleeting (the hours and days going slow but the years rushing by) and I’ll have the rest of my life to have a neat house. One last thing that was helpful – my husband said – which was that he would rather I throw out our entire family’s tradition of a multi course Christmas eve meal and have me do one of the courses WITH the kids then have them be left on their own with tv or toys while I made the food. I loved your comment about having the rest of your life to have a neat house. I think when I am feeling out of control internally, I seek external control and that is keeping everything in order. I was reflecting on this fact earlier in the evening. Does it really matter in the end if the house is neat or not? Perhaps I should devote some of that energy to really being “with” my child, because yes the years are rushing by. By being with him, maybe I can have better conversations and less angry outbursts at him. I don’t want him to remember a Mother who was yelling all of the time and nagging him to clean up. I want quality time and quality moments. I want no regrets. I am a single mom and I am working so much that I feel like I miss out on a lot of things with him. I think it is time to rethink the priorities. More laughs and less yelling. The laundry will still be there tomorrow as will the untidy house! He is 12 years old now, so maybe it is time to teach him as well. Instead of demanding that he does something, maybe say “let’s do it together!” . I don’t know what the answers are, but you really struck a chord with the statements you made. The years are rushing by. Thank you for your post. I couldn’t believe my eyes when I started reading these posts and comments. I cried. I know that I am not alone. Thank you to all who have been on here. Thank you all for being supportive and not destructive. I have never felt so good after reading anything. ever. I have been struggling with this for 9 years. Just in the past year (5 kiddies later) 🙂 did I start to even know that I was being ridiculous with them. (who screams at a two year old?!) (me.) I just made a conscious decision that I was not going to ruin a relationship with them before they even moved out! I close my eyes and breath and count. You can’t take back words. I then tell myself the real reason I’m mad and most of the time it is because something is not going MY way. (selfish!) I try and turn the situation into something positive FOR or ABOUT them. Ends up much nicer than if I try and do it for myself. My husband and I are Christians and could never do this journey without Jesus! LOL–I had to employ some earplugs a few days ago! Brendan had been fussy & whiny all morning. Finally, he got out 2 pot lids and was clanging them together like cymbals. I figured what the hell. He’s not whining & fussing. So I put earplugs in. I normally would take the lids away, don’t get me wrong, I’m not generally that permissive. I’m just wondering, if all this doesnt spell PPD coz i do too have the rage/anger coz apaprently thats a huge sypmtom of this and ive had it. I just know taht ive had it since my 1st son was born, breastfed for about 2 yrs and still have it. Im guessing it could even be hormonal imbalances….i wish we could get a dr’s perspective on this. I also think it could be mineral/vitamin defiencies…just wondering. The GUILT!!! Boy are you preaching to the choir!!! I’m a single, working, homeschooling mommy!!! And boy do I get tired and cranky and frustrated!!! And LOOSE IT!!! I try to keep it together, but there’s just so much to do!!! It doesn’t happen often, but when it does…I sent my 6 year old and 9 year old to go and play the other day….we were in the middle of lessons, after working 8 hours and in the middle of cooking dinner, I just couldn’t take any more (and it’s so unfair to my little people) I sent then to go and play, turned off the stove and sent my self to MY room!!! As I was walking do the hall my little one said, “Mommy needs a time out!” haha Did I ever…thanks for the post & book reference! I NEED it! I have a problem yelling I get a notice that somethings missing in school or fails a test and I go off the deep end. I scream and they cry, I feel so guilty then I cry. The next week it starts all over again. My youngest has memory problems, her school says they can’t help. We drill and drill and drill nothing seems to work. We had all the testing and she passed only barely. I know its not her fault but I just go off I tried counting to ten breathing exercises, I jump on the elliptical I dont know what else to say or do. I found your blog in a desperate moment! My husband and I have two boys, 6 year old and 19 months. The 6 year old was always well behaved as a toddler, could count his tantrums with one hand…. The 19 month old boy is THE OPPOSITE! He climbs on everything, cries 80% of the time, tantrums every day…. I loose my temper and feel guilty immediately, but my husband…. Well, he just doesn’t have ANY patience for him, he gets angry at him every time he refuses to eat his dinner, or if he cries for whatever toddles cry for. He’s at work and he should enjoy his kid before bedtime but he can’t wait for him to go to bed. Then I get angry at him (husband) and it just doesn’t go away, every time it happens I remember every time he lost it! I resent him for having more patience with the dog. I read your blog and I’m going to make him read it too. How can I help him???? And finally, I think maybe I would ask for his advice, if that seems possible. Part of what may be going on is that he’s gone all day, then he’s frustrated with the kids, then you’re angry at him and he may be feeling unempowered. I don’t know you two at all, but if you could get him to be your ally, that may help, “I get super frustrated too, do you have any ideas that you think would help?” Or “My main concern is that he grows up feeling like a good person, how do you think we can get through this while keeping his self esteem intact and our sanity intact?” I mean – you’ll have to feel it out yourself, but I find my husband does best when he feels like he has some say in the matter at hand. Thanks so much for writing this Katherine. I love what you said about teaching moments coming up because of this. When I started looking at angry or difficult moments in my parenting as opportunities instead of disasters, it really helped me become more able to accept them as part of our days and gorw and learn more from them. – There are two people in this world who I DO want to maintain a good relationship with… and those two people are my children. 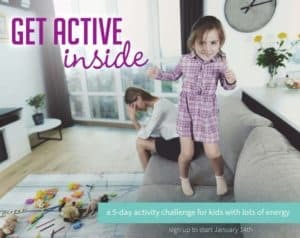 My solution became to keep in mind that I don’t care if having my children (who are very active and young) inconveniences someone for a short amount of time. If it bothers other people, that is their hang up not mine – and I’m not going to make assumptions about how they might be feeling towards my children (as sometimes I am wrong). Once I stopped concerning myself with other people, keeping my cool with my children became way easier. By the way – I just want to say how much I love your site. I feel like you are a kindred spirit in parenting. Thanks so much! Glad to have you here. Thank You! 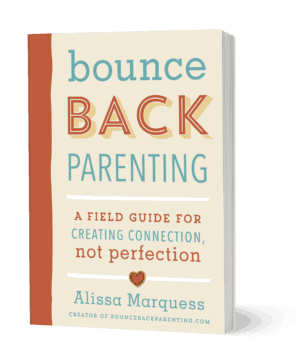 Not only to Alissa for writing this but to every parent who has commented and likely brought peace of mind to everyone else who can relate to the parent rage. We are all a work in progress! Thank you for being honest. I feel very alone and I need help. This article is great! I’m always looking for ways to deal with my temper when it comes to my kids. Having a 4 year old and an almost 2 year can be a handful! I hate that I snap at them when I do I honestly don’t know WHERE it comes from! I feel like the worst mom out there when it happens like I did something wrong. I love my children with every piece of me and would do anything for them, so I just don’t get where the no patience and temper comes from. I get they’re children and they’re curious and having patience is key. There are days that are great and others are just so chaotic. I’ve been giving myself a pep talk lately when I’m alone to try to get my mind ready and have a plan, but it’s easier said than done! I’m hoping I can use these techniques to better myself for my children and for me as well!